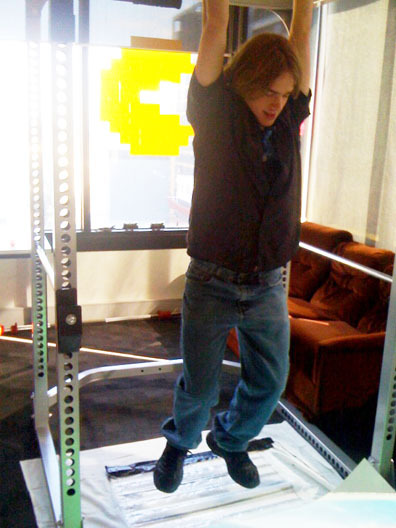 Wouter Walmink is an amazing designer who has done fascinating exertion systems and games in both Australia (CSIRO) and in the Netherlands, where he co-founded Studio Ludens that attracted prestigious clients such as Philips and TUE. 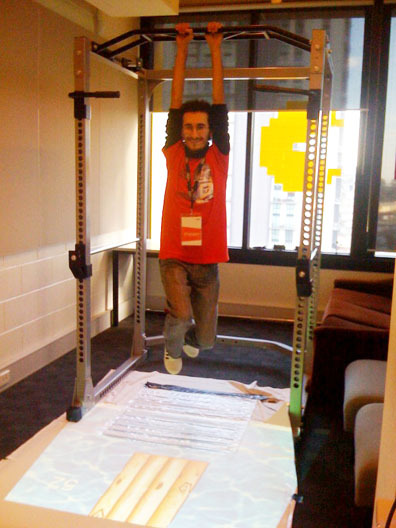 He will be joining the Exertion Games Lab on Monday, working on a distributed exertion game for teenagers. Welcome Wouter! 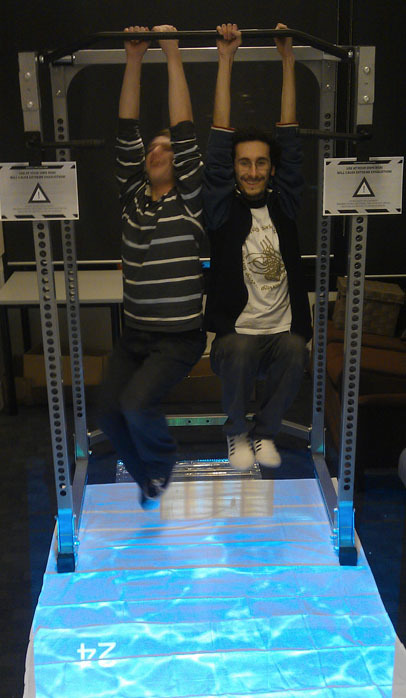 I am super-excited to be part of the Exertion Games Lab as of today (29-8-2011). 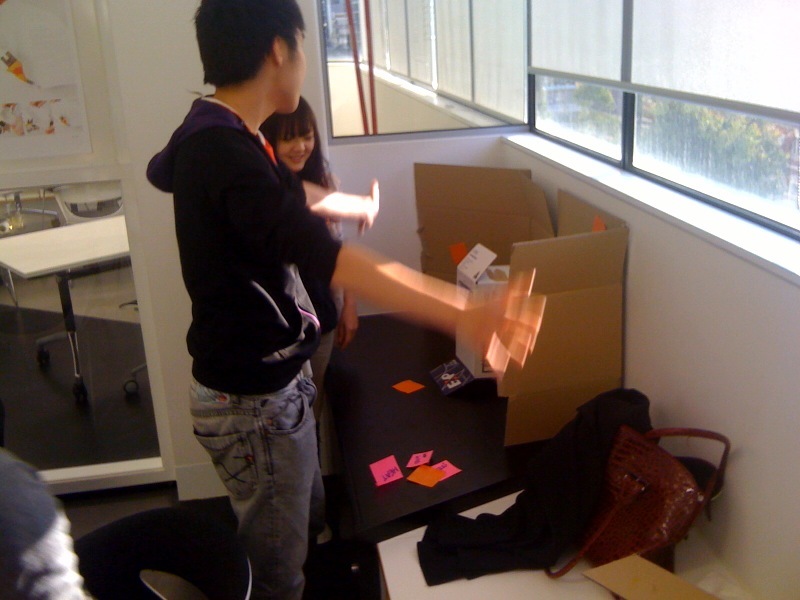 A quick introduction: I’m an interaction designer with a passion for physical interaction. I love empowering people and helping them discover their own talents. In the past 5 years I have been running my own company studio:ludens with Alexander Rulkens, developing online design tools and products in the emerging market of mass-customization. Last year we created an interactive installation called ‘Flosculus’ with Philips and Little Mountain (watch the video). Among others we developed a pattern-making tool called Repper. An early online version of this tool generated over 100.000 patterns made by people all over the world, browsable at ColourPatterns.com. Have a go at it yourself with the latest version in the online demo. In the next months my aim is to develop an exertion game that will knock your socks off. I’ll try and merge new interaction styles into exercise gameplay, mingle new themes with old-school fun and make magic happen. This project is all about making something amazing —> more brains involved = more amazingness. So if you’re in for a brainstorm session, want to share your wisdom with me or join in, contact me at wouter@walmink.com. 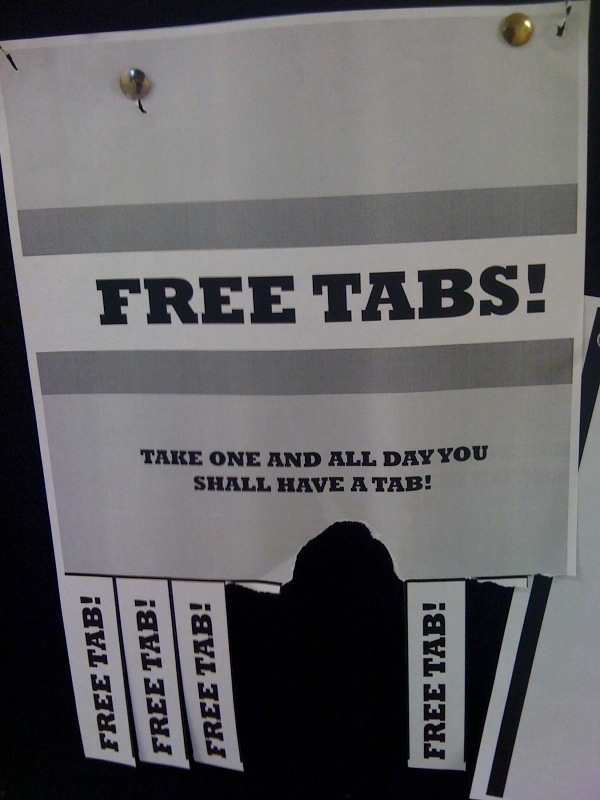 See you at the Exertion Games Lab! http://soundcloud.com/christydena/freeplay2011-floydmueller (including the introduction by Christy Dena). 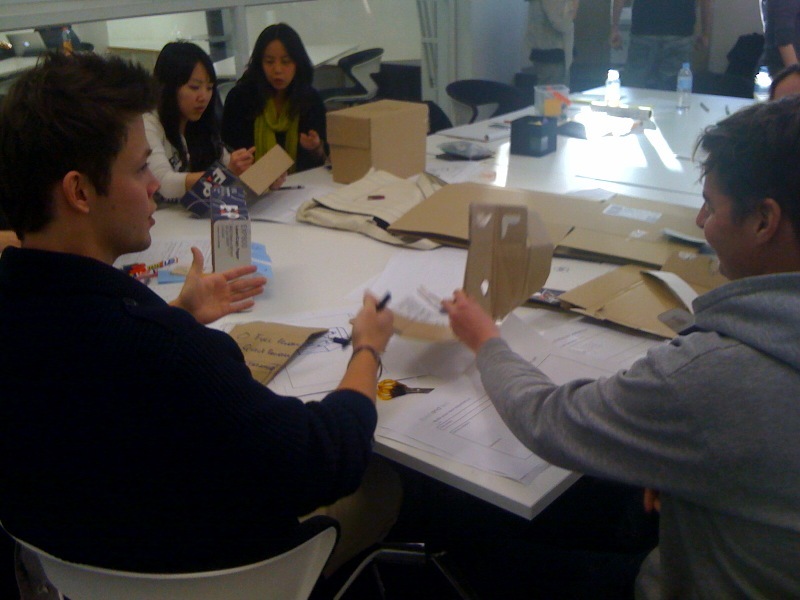 Thanks for contributing to today’s brainstorming session for the peace.facebook initiative, it was great fun! 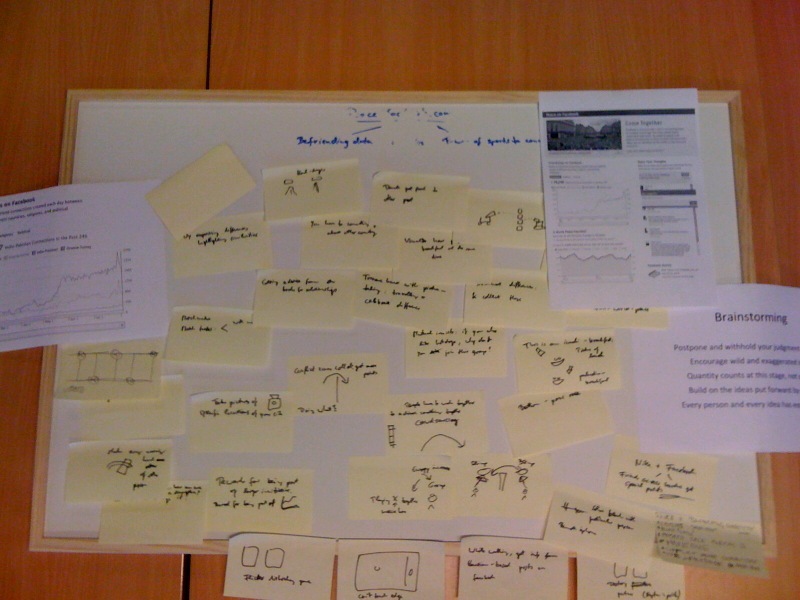 Attached is a picture of the board where we posted all ideas. They will now be summarized and put forward to the peace.facebook initiative and then we’ll turn them into some great student projects. Thanks again for participating, very inspiring! 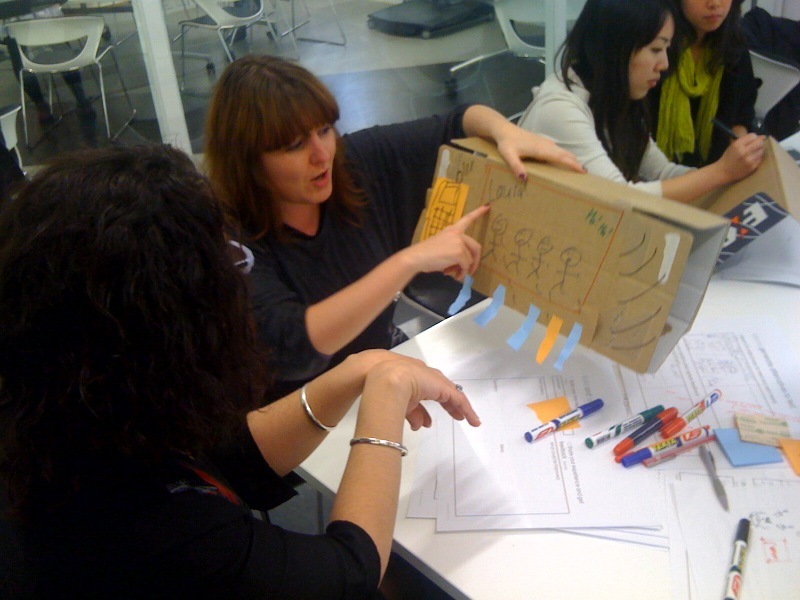 In the User Experience in Games lecture organized by the Exertion Games Lab, students were challenged to redesign the hand-dryer experience in a playful way. They came up with some amazing ideas on how to turn a task-focused activity (how can we dry hands faster and more effectively?) into an engaging play experience, see the pictures. We are having a brainstorming meeting on Fri, 5th Aug, 3-4pm in 14.11.04 to think about a mobile exertion game that we can bring to the table for peace.facebook.com. If interested, get in contact with Floyd. 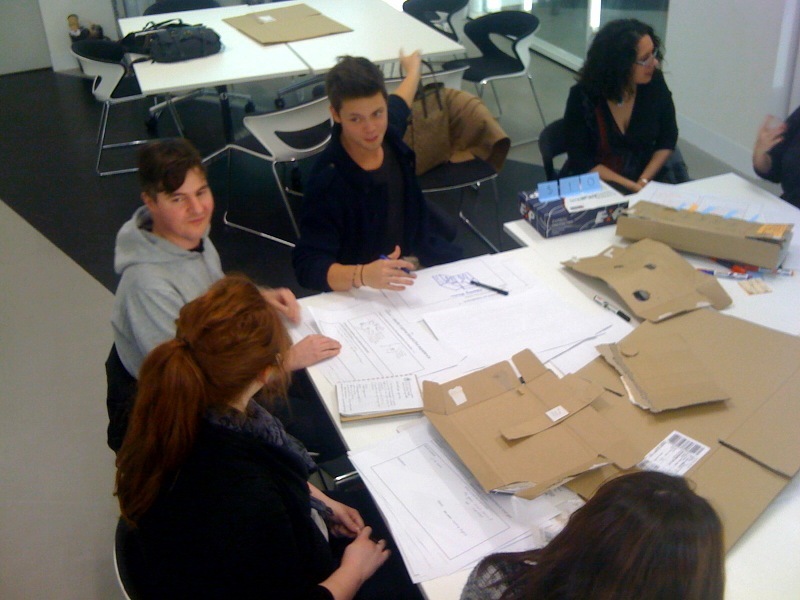 Florian ‘Floyd’ Mueller gives a talk on “User Experience and Games” on 29 July 2011 to the Design degree students from Jeremy Yuille at RMIT, Melbourne, Australia. 13:30-16:30 in room 9.03.04b. Interested in getting writing done? Every morning, 9-10, Mo-Fr, the Exertion Games Lab offers the Writing Club, where you are invited to join others to “just write”, whether it be an academic paper, grant application etc., motivated simply by fellow writing-sufferer’s presence and the feeling of not writing alone. Writing Club – the next best thing after Fight Club.